Will I get a Social Security number when filing Form I-765? It’s now possible to obtain a work authorization document and get a Social Security number at the same time. 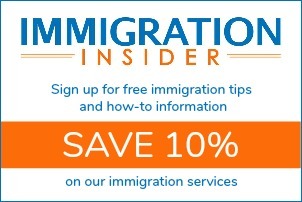 To lawfully work in the United States, foreign workers in some categories and classifications need both an employment authorization document (EAD) from USCIS, and a Social Security number (SSN) from the Social Security Administration. Previously, applicants needed to submit a Form I-765 to USCIS for an EAD, and then submit additional paperwork in-person at their local Social Security office to obtain an SSN. Form I-765, Application for Employment Authorization, now includes additional questions that allow applicants to apply for an SSN or replacement card without visiting a Social Security office. Starting with the 07/17/17 edition of Form I-765, applicants may request USCIS to transmit the additional data collected on the form to the SSA for processing. Then, applicants who receive their approved EADs from USCIS should receive their Social Security card from SSA within the following two weeks. 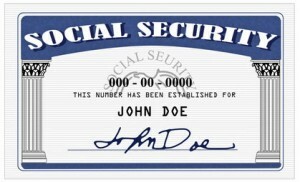 If you didn’t receive your card within two weeks, contact your local Social Security office. Requesting a new or replacement Social Security card through Form I-765 will not affect the processing time for Form I-765. The information is not transmitted to SSA until the I-765 application has been approved by USCIS. work, collect Social Security benefits, and receive some other government services. If you’re a noncitizen that will not work in the U.S., you probably don’t need to get a Social Security number. Lawfully admitted noncitizens can get many benefits and services without a Social Security number. You don’t need a number to get a driver’s license, register for school, get private health insurance, or apply for school lunch programs or subsidized housing. Some organizations use Social Security numbers to identify you in their records. Most, however, will identify you by some other means if you request it. The Social Security Administration will not assign you a Social Security number solely for you to be able to get a driver’s license or a service that requires a credit check. Although many companies, such as banks and credit companies, may ask for your Social Security number, you generally aren’t required to provide one if you don’t have one.